Stephens Glow Shows make for spectacular photography. 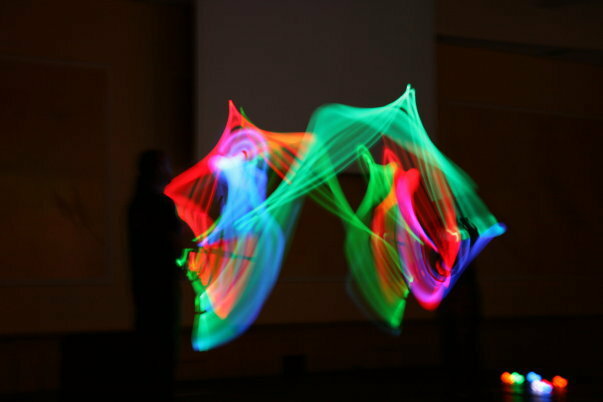 Glow juggling is suitable regardless of light conditions making glow an easy addition to any show. For additional impact a Glow Club passing performance is also available.